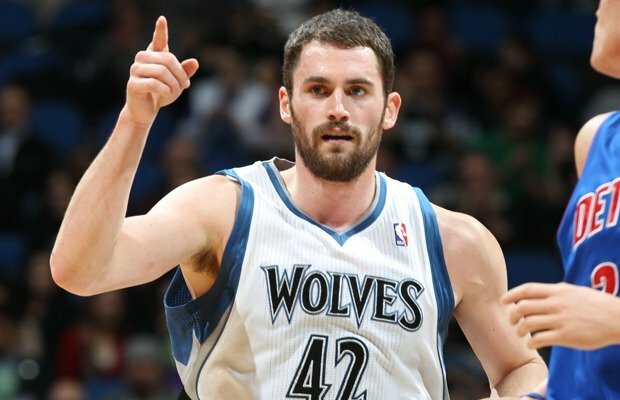 Home > US Sports > NBA > Kevin Love: Who is the right fit? 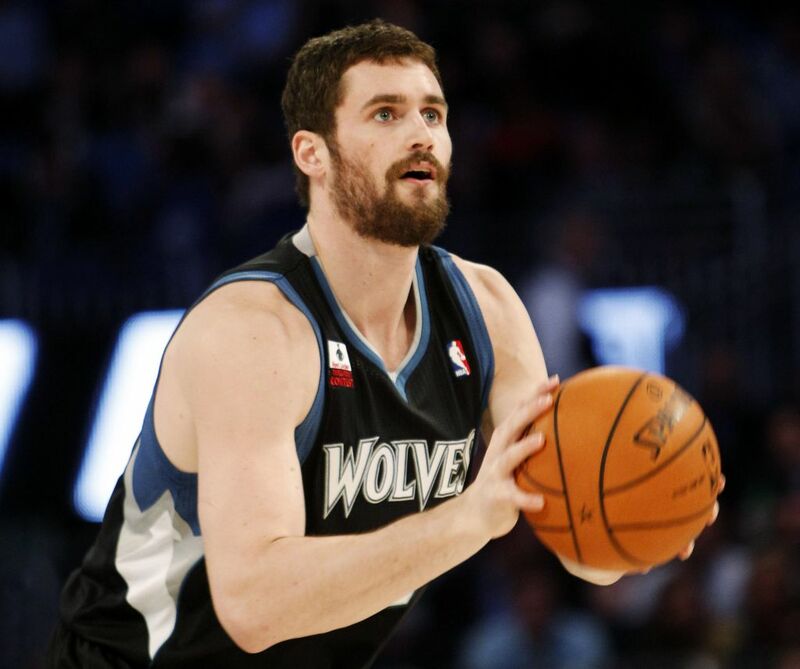 Kevin Love has announced that he will test free agency when his contract expires after the 2014-2015 season. If the Minnesota Timberwolves choose not to trade him, he will be looking at many different suitors. Of those teams only five stick out as a good fit for him. The Boston Celtics, Houston Rockets, Chicago Bulls, Los Angeles Lakers, and Phoenix Suns. The Boston Celtics have expressed interest in Kevin Love, and as we get closer to the end of his contract, that interest only increases. The Celtics had one of the worst seasons in franchise history, and they want to rebound by adding a player with all-star caliber. If they chose to sign him, they would have to release Kelly Olynyk and Gerald Wallace . Kelly gets paid almost two million dollars with little to no production on the court. Gerald is an older player now and doesn’t produce near the numbers he used to, definitely not worth the 10 million he is getting paid. Releasing these two players would free up some cap space for Love. If the Celtics were to trade for Love, they would most likely trade their 6th pick in the upcoming NBA draft and someone like Jared Bayless or Brandon Bass. That would give the T-Wolves a player who has potential to be an all-star in the future, along with someone who is productive coming off the bench. If Love were to go to the Celtics, he would have the supporting cast of Jeff Green, Rajon Rondo, Avery Bradley, Kris Humphries, and Jared Sullinger. The Suns don’t stick out to many people as a good place for free agents. But they have a good lineup that could be playoff contenders without Love. Adding him would only increase the teams chances and depth. Gerald Green and Goran Dragic hold the backcourt while Miles Plumlee and Emeka Okafor hold their own in the paint. If you throw Kevin Love in there, you get great players like the Channing Frye, Eric Bledsoe and the Morris brothers coming of the bench. This could change the Suns from a team fighting to get into the playoffs to a team that could make a deep run. If Kevin Love were to be traded, there is little to no chance of him ending up in Phoneix, the only way they get him is by his own choice. As we all know, the fate of the Chicago Bulls lies with the health of their star point guard Derrick Rose, who has now suffered two season ending injuries. They have good depth with D.J. Augustin, Mike Dunleavy,Tony Snell, and of course Taj Gibson. If Derrick Rose can come back healthy and at a high level, there is a good chance Love will choose Chicago. With Kevin Love, Joakim Noah, Carlos Boozer, Jimmy Butler and Derrick Rose, it would be a pretty stacked team. Coach Tom Thibodeau’s defensive mindset would make the Bulls a force to be reckoned with in the east. The “Lakeshow” is and always has been one of the premier destinations for free agents. With the nice weather, famous celebrities and plenty of entertainment to go around, most free agents sign with the Lakers in a split second. With Love being an LA native and attending UCLA, this could be where we see him end up. The Lakers have only three returning players and need to fill cap space for next season, as well as find a new head coach. All-stars Steve Nash and Kobe Bryant will be returning to the floor and in addition, the Lakers also have the 7th pick in the upcoming NBA draft. This draft class is hands down one of the best since 2003. The Lakers could pick up a very talented player for the future, as well as draw in Kevin Love. There is lots of opportunity in LA, but is Kevin willing to take the risk of the uncertainty? The Houston Rockets are most likely the best fit for Kevin Love. 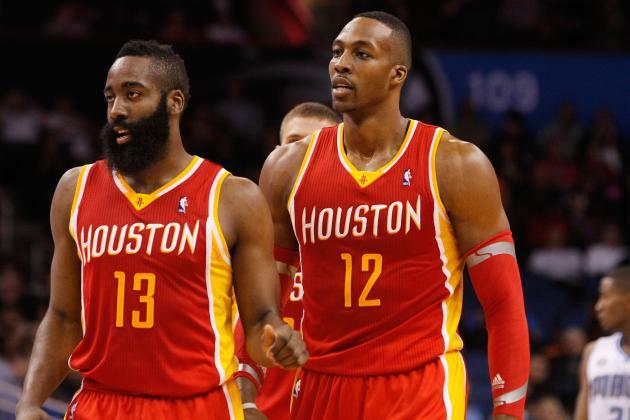 With fellow All-Star Dwight Howard in the frontcourt and James Harden manning the guard position, this could easily form a big 3 similar to the Miami Heat. The Rockets definitely have good role players such as Jeremy Lin, Patrick Beverly, Omer Asik and Chandler Parsons. After losing in the first round of the playoffs to the Trail Blazers, the Rockets are looking for pieces in the puzzle, and Kevin Love fits just right. Adding Kevin to the roster would not only increase the scoring but also give coach Kevin McHale other options when he has to take Dwight Howard out of the game due to poor free throw shooting late in games. It also increases Houston’s depth, making it possible to beat teams like the San Antonio Spurs and Oklahoma City Thunder in a seven game series. In exchange, Love can learn from one of the all time great big men in Kevin Mchale. When injuries or fatigue come into play, the team wouldn’t miss a beat because of their deep bench. Kevin Love is a necessity for the Rockets if they want to reach the top of the west and even become a championship caliber team.